ISL Online has announced that all-new Private Box will be available to order starting on Thursday, January 23. Private Box is engineered for an unparalleled real-time customer service in a secure corporate environment. It features cross-platform remote desktop control with installable access to unattended computers, live chat for website, and web conferencing pre-installed and pre-configured on a powerful hardware configuration. Designed for enterprises, Private Box can be transformed into a private cloud launching your on-premises online customer service performance to an unprecedented level. Private Box is available starting at €19,990. – One box. Four products. – User management & reporting. The premium appliance packs everything your support service needs. The live chat, which can be prominently placed on your website, lets you respond directly to your online visitors and offer immediate technical or sales assistance. A comprehensive firewall-friendly remote desktop support service can be thus started from live text messaging or as a stand-alone service paired with telephone and email support. It powers them to control the computer remotely from any Windows, Mac, Linux, Android, iOS or Windows Phone 8 device even if unattended. Either way, operators can focus more on fixing the client’s technical issues, rather than the practicalities. To help improve your customer service, support operators can team up with sales staff to engage online visitors and other prospects in interactive online presentations. Private Box web conferencing service enables screen sharing, smooth video conferencing, helps create great slides, and perform cost-effective product presentations and training from anywhere. Competitively priced, Private Box places no limitations on the number of simultaneous sessions, users and workstations within an organisation. Software customisation, integration and mobile apps do not require any additional fees either. 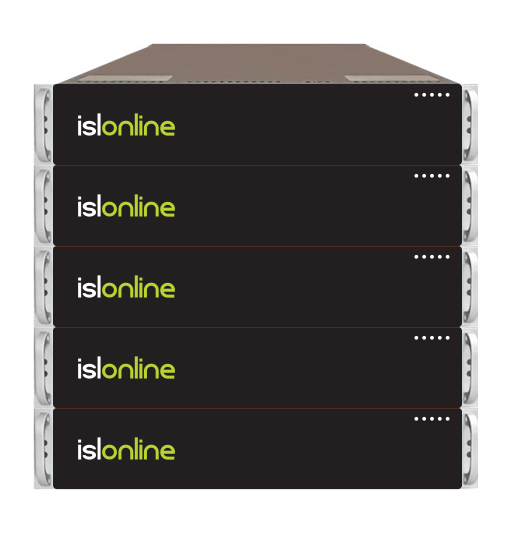 “We are committed to the highest security standards in industry and believe in simple solutions that offer an enterprise a means of effective technical support with minimal infrastructure needs or continuing costs,” Jure Pompe, ISL Online’s CEO. Larger organisations and those who need 50+ simultaneous sessions and remote support services working uninterrupted 24/7/365 have found ISL Online Private Cloud is the best solution for the job. Private Box can be scaled into a Private Cloud by connecting two or more appliances with the proprietary ISL Online cloud technologies. The ISL Online Private Cloud assures a robust, almost 100% fault-tolerant system with an incredible 99.96% uptime, providing impeccable performance of customer support services round the clock. For more information on Private Box see: http://www.islonline.com/private-box/. This entry was posted in cloud computing, isl online, live chat, Mobile, On-premises remote support, online meeting, remote access, remote desktop, remote desktop support, Remote support, web conferencing and tagged corporate it support, customer service, customer support for enterprise, customer support service, on-premises remote desktop, private cloud, remote desktop appliance, remote desktop box. Bookmark the permalink.